Good morning everyone...it's another Monday and most everyone is off today for the holiday. Still wanted to drop some #MondayMotivation to get you through the rest of the week! In honor of Dr. Martin Luther King, Jr., today's quote comes from him. 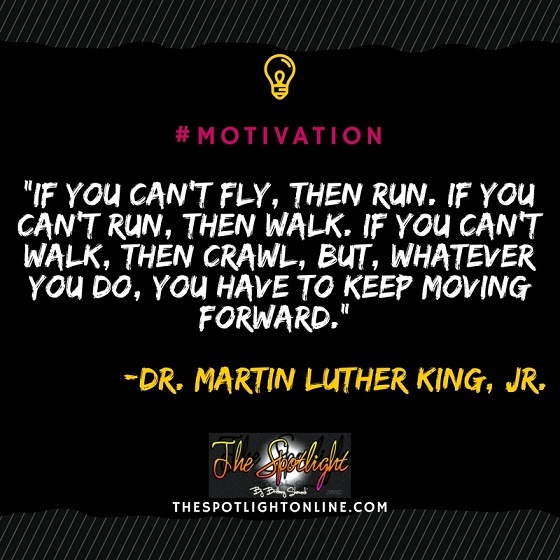 Whatever you do, keep moving forward. No matter how long it takes, no matter the small steps you have to take to continue pressing towards your goals, KEEP. MOVING. FORWARD. Do something today that will get you one step further towards achieving your dreams!